В статье представлен количественный и качественный анализ конкретной современной речевой практики публичного политика, а именно публичной политической речи Президента России В.В. Путина при ответах на вопросы во время ежегодной пресс-конференции Президента России 19 декабря 2013 г. на материале видеозаписей его речевого поведения. Ключевые слова: Президент России В.В. Путин, публичная речь, ораторское искусство, речевое поведение, количество слов в предложении, речевые повторы, риторические вопросы. Пресс-конференция Президента России 19 декабря 2013 года [Электронный ресурс] // Президент России. Официальный сайт. 2013. 19 дек. Режим доступа: http://www.kremlin.ru/events/president/news/19859. Алышева Ю.С. Речевой портрет В.В. Путина // Вестник Волгоградского государственного университета. Серия 2. Языкознание. 2012. № 2 (16). С. 191—195. Аристотель. Поэтика. Риторика. СПб. : Азбука, 2000. 348 с.
Белоусов К.И., Зелянская Н.Л. Образ мира политика (по данным частотного анализа лексики) // Политическая лингвистика. 2012. №. 2. С. 60—65. Гаврилова М.В. Когнитивные и риторические основы президентской речи (на материале выступлений В.В. Путина и Б.Н. Ельцина). СПб. : Филологический факультет СПбГУ, 2004. 295 с.
Далецкий Ч.Б. Пространство современной риторической культуры и риторизация культуры // Пространство и Время. 2012. № 2(8). С. 45—52. Ивин А.А. Основы теории аргументации. М.: ВЛАДОС, 1997. 352 с.
Лощенкова Р.Х. Ораторское искусство как социокультурный феномен. Автореф. дисс. … к. ф. н. Уфа, Башкирский государственный университет, 2010. 21 с.
Лукьянова Н.А. О соотношении понятий экспрессивность, эмоциональность, оценочность // Актуальные проблемы лексикологии и словообразования. Сборник научных статей. Вып. 5. Новосибирск: Наука, 1976. С. 20—32. Паршина О.Н. Стратегии и тактики речевого поведения современной политической элиты России. Астрахань: Изд-во Астраханского государственного технического ун-та, 2004. 196 с.
Позднякова А.В. Типы аргументации в речи президента В.В. Путина // Межкультурные коммуникации в современном мире: роль СМИ: Студенческие научные чтения (Екатеринбург, 18 апреля 2014 г.). Вып. 2. Екатеринбург: УрФУ, 2014. С. 64—68. Саунина Е.В. Вопросительные предложения и их функции в речи Д.А. Медведева и В.В. Путина // Филология и человек. Барнаул: Изд-во Алтайск. гос. ун-та. 2011. С. 146—153. Устинов Д. Учись говорить, как Путин [Электронный ресурс] // Тренинг-центр «Синтон». 2012. 9 сент. Режим доступа: http://www.syntone.ru/library/article_syntone/content/6576.html. Яковлева А.С. Категория оценки в публичных политических речах П.А. Столыпина и Отто фон Бисмарка (на материале русского и немецкого языков). Автореф. дисс. … к. филол. н. Тюмень, Тюменский государственный университет, 2006. 24 с.
Alekseyeva A. "Sochi 2014 and the Rhetoric of a New Russia: Image Construction Through Mega-Events." East European Politics 30.2 (2014): 158—174. Black M. Language and Philosophy: Studies in Method. Ithaca: Cornell University Press. 1949. xiii + 264 p.
Gorham M.S. 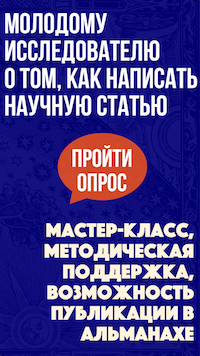 After Newspeak: Language Culture and Politics in Russia from Gorbachev to Putin. Ithaca; L.: Cornell University Press, 2014. 234 p.
Gorham M.S. "Linguistic Ideologies, Economies, and Technologies in the Language Culture of Contemporary Russia (1987—2008)." Journal of Slavic Linguistics 17.1—2 (2009): 163—192. Gorham M.S. "Putin’s Language." Putin as Celebrity and Cultural Icon. Ed. H. Goscilo. New York: Routledge, 2013, pp. 82—104. Koteyko N., Ryazanova-Clarke L. "The Path and Building Metaphors in the Speeches of Vladimir Putin: Back to the Future?." Slavonica 15.2 (2009): 112—127. Remer G. "Genres of Political Speech: Oratory and Conversation, Today and in Antiquity." Language & Communication 28.2 (2008): 182—196. Schuler C.A. "Priamaia Liniia s Vladimirom Putinym: Performing Democracy Putin-Style." Drama Review 59.1 (2015): 136—160. Slade G. "The Russian Idea and the Discourse of Vladimir Putin." CEU Political Science Journal 01 (2007): 44—57. In the modern world, interest in rhetoric has increased dramatically. In our days, the rhetoric has a special place in education and public life as a tool to control society. Rhetoric is an effective tool for the formation of a worldview by the word. Aristotle had wrote, ‘the word is the most powerful human weapon’. Public political persons’ speech portrait allows the listener to make judgments about whether they are in good shape and their political potential in general. The subject of my research is President of Russia Vladimir Putin’s public political speech: I examine Vladimir Putin's two particular answers in his annual interview at the 2013 conference using of quantitative method for analyzing video recordings of Vladimir Putin's verbal behavior and method of induction, which allow systematization and generalization of individual linguistic facts. President Vladimir Putin’s 9th press conference took place on 19 December 2013 at the World Trade Center (Moscow). Vladimir Putin replied to 52 questions during 4 hours 4 minutes. President’s answers to the first two questions were quite lengthy. In general, the length of the first two questions and the response was 16 minutes 5 seconds; the duration of the response word of the President of Russia amounted to 14 minutes and 25 seconds. In response, the President has used 1524 words in the 130 sentences. In President’s speech, the number of words per sentences is rarely more than 20. Most often, these phrases contain from 10 to 25 words. The maximum length of sentences equals to 46 words, and the smallest sentence consists of one word. President's speech is the intelligible, clear and distinct. Listeners can easily understand and comprehend his speech. In his speech, Vladimir Putin has not used long and complex sentences. President has replied to journalists' questions, combining long, medium and short sentences. In his press-conference, President preferred short simple sentences and small complex sentences. Vladimir Putin has used the tactic of emphasis to highlight some point of his speech. President has used a modal adverb with the verb in the infinitive form. As an experienced speaker, the President of Russia in his response skillfully has used repetition. The repetition reinforces the communicative and expressive significance of the utterance contributes to the concretization formulate thoughts, increases conceptual and emotional expressiveness of speech. In his speech, President has used the everyday language and the language of the media. He actively has used the rhetorical questions. Vladimir Putin speaks quickly and skillfully uses pauses. In his speech, pauses emphasize the importance of his words, as well as necessity to comprehend and understand President’s ideas. Tone of his voice is friendly and consistent with the content of speech. Putin’s voice is smooth and solid; construction of the phrase is very clear and precise; gaze is alive; contact with the public is perfect. The dominant feature of President’s speech is logicality. Russian President knows how to express his thoughts by consistent, logical and reasoned way. On the one hand, Putin’s speech is restraint, but, on the other hand, it has enough forces, expressiveness and power. This combination of power and restraint convinces listeners and gives them a strong impression. Russian President is competent, flexible, decisive and purposeful orator. Our analysis of the speech of the President Vladimir Putin's during the annual press conference on December 19, 2013 shows President of Russia confidently fluent in the art of oratory. His speech is intelligible, clear and distinct. Listeners may easily understand and comprehend what he was saying. The Russian President is able to speak clearly, strongly and convincingly. He is a talented orator, he is in good shape and has good political potential, and he honorably represents his country. Keywords: Russian President Vladimir Putin, public speech, art of oratory, speech behavior, the number of words per sentence, speech replays, rhetorical questions. Alysheva Yu.S. "Speech Portrait of Vladimir Putin." Herald of Volgograd State University. Series 2. Linguistics 2 (2012): 191—195. (In Russian). Aristotle. The Poetics. Rhetoric. St. Petersburg: Azbuka Publisher, 2000, 348 p. (In Russian). Belousov K.I., Zelyanskaya N.L. "Image of the World Politics (According to the Frequency Analysis of Lexicon)." Political Linguistics 2 (2012): 60—65. (In Russian). Daletsky Ch.B. "Space of Contemporary Rhetorical Culture and ‘Rhetoricalisation’ of Culture." Prostranstvo i Vremya [Space and Time] 2 (2012): 45—52. (In Russin). "Dmitry Peskov: There Are No Awkward Questions For Putin." MK.RU. Moskovsky Komsomolets, 19 Dec. 2013. Web. <http://www.mk.ru/politics/russia/news/2013/12/19/961968-peskov-dlya-putina-net-neudobnyih-voprosov.html>. (In Russian). Gavrilova M.V. Cognitive and Rhetorical Foundations of the Presidential Speech (Case Studies of Vladimir Putin’s and Boris Yeltsin’s Speeches). St. Petersburg: Faculty of Philology of St. Petersburg State University Publisher, 2004. 295 p. (In Russian). Ivin A.A. Fundamentals of the Theory of Argumentation. Moscow: VLADOS Publisher, 1997. 352 p. (In Russian). Loshchenkova R.Kh. Oratory as a Sociocultural Phenomenon. Synopsis of Ph.D. diss. 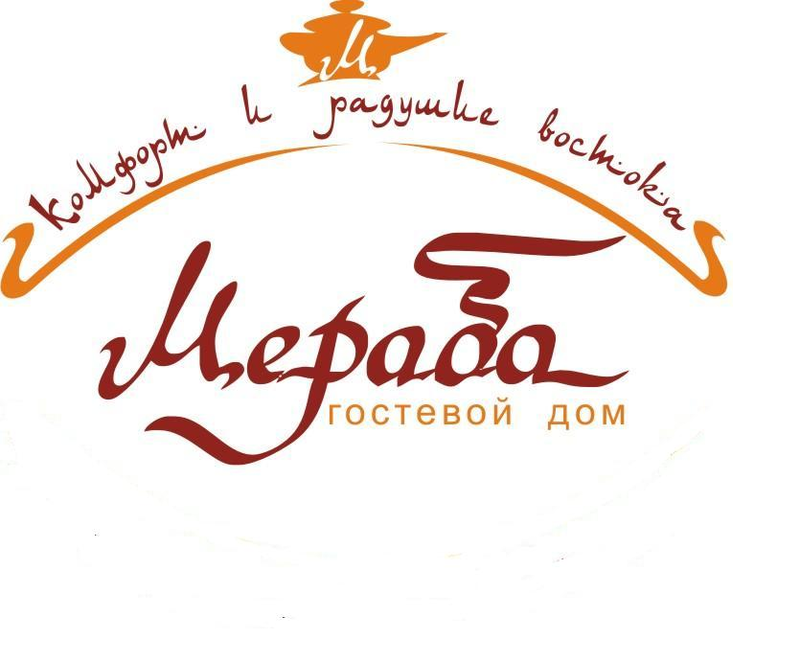 Ufa: Bashkir State University Publisher, 2010, 21 p. (In Russian). Lukiyanova N.A. "On the Relation Between the Notions of Expressiveness, Emotion, Evaluation." Actual Problems of Lexicology and Word Formation. Novosibirsk: Nauka Publisher, 1976, issue 5, pp. 20—32. (In Russian). Parshina O.N. Strategy and Tactics of Russian Modern Political Elite’s Verbal Behavior. Astrakhan: Astrakhan State Technical University Publisher, 2004, 196 p. (In Russian). Pozdnyakov A.V. "Types of Arguments in President Vladimir Putin’s Speech." Intercultural Communication in the Modern World: The Role of the Media. 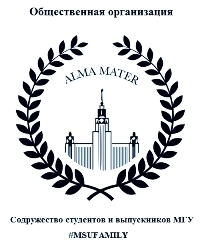 Proceedings of Student Scientific Readings (Ekaterinburg, 18 Apr, 2014). Ekaterinburg Ural Federal University Publisher, 2014, issue 2, pp. 64—68. (In Russian). "Press Conference of the President of Russia, 19 December 2013." President of Russia. Official Website. Presidential Administration of the Russian Federation, 19 Dec. 2013. Web. <http://www.kremlin.ru/events/president/ news/19859>. (In Russian). Saunina E.V. "Interrogative Sentences and Their Functions in Dmitry Medvedev’s and Vladimir Putin’s Speaking." Philology and People. 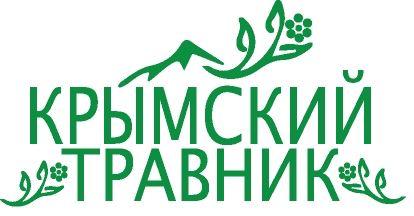 Barnaul: Altai State University Publisher, 2011, pp. 146—153. (In Russian). Ustinov D. "Learn To Speak Like Putin." Training Center "Sinton". N.p., 9 Sept. 2012. Web. <http://www.syntone.ru/library/article_syntone/content/6576.html>. (In Russian). 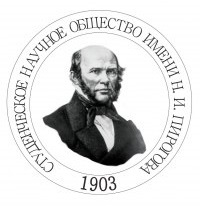 Yakovleva A.S. Category of Evaluation in Petr Stolypin’s and Otto von Bismarck’s Public Political Speeches (Case Studies of Russian and German Languages). Synopsis of Ph.D. diss. Tyumen: Tyumen State University Publisher, 2006. 24 p. (In Russian). Ioakeimidi, D. "Rhetorical Features of Russian President Vladimir Putin’s Public Political Speech." Elektronnoe nauchnoe izdanie Al'manakh Prostranstvo i Vremya [Electronic Scientific Edition Almanac Space and Time] 8.2 (2015). Web. <2227-9490e-aprovr_e-ast8-2.2015.71>. (In Russian).